What characterizes “easy scholarships” or “no essay scholarships” other than the obvious fact that it requires minimal application process and is open to a diverse group? For those pressed on time, easy scholarships are a sensible choice. Scholarships already help provide tuition assistant for college or grad school, but easy scholarships go beyond to make this process even simpler. Whether the award is $500 or $10,000, any monetary amount is worth the small effort. Hopefully, the process will be gratifying, and that you will have a good chance at winning scholarships you find easy. Are you a United States citizen and a high school junior or senior, college undergrad, or grad student? Then you can win $500. Nope, no other qualifications. Just be what you already are. The $500 “Because College is Expensive Scholarship” is open to all students and those planning on enrolling within 24 months. The winner will be determined by random drawing monthly and then contacted directly and announced on the Scholarship Winners page. One entry per person is all that is necessary. It truly doesn’t get easier than that. This $10,000 Scholarship does not require a GPA or an essay, Great thing is it takes about 2 minutes to enter. The nice thing about the Scholarship is that it’s quarterly and you can apply every quarter. And the application is as easy as can be. In fact, you could have filled it out probably 10 times already since starting to read this blog. If you’re a current or incoming college student and know basic information about yourself (name, address, etc. ), then you can win $10,000. Winners are drawn at random. The You Deserve It Scholarship is easy enough. When you create an account, you will automatically have a single application submitted on your behalf to apply to enter the monthly Scholarship. As a bonus, without any further effort, you can apply to hundreds more scholarships automatically. The Cappex $1,000 Easy Money Scholarship is a no brainer and offered every month! There is no GPA requirement and no essay to write. In fact, all you have to do is create a profile and fill out what you do in your free time. Students just need to register for the CollegeXpress Scholarship. You do not need to complete an application for this scholarship. The winner will be chosen in a random drawing. Register to enter the $1,000 monthly sweepstakes. Make some extra cash by answering a couple of questions! Before reaching out for student loans, exhaust all possible resources. We have given you some easy ones to think about and should take advantage of. If you strike out on scholarships, remember to exhaust your federal student loans first before turning to private students loans. 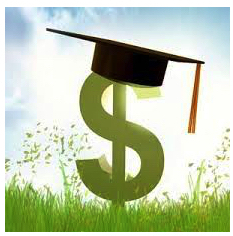 Check out Cedar Ed Private student loans for quick and easy loan comparisons.